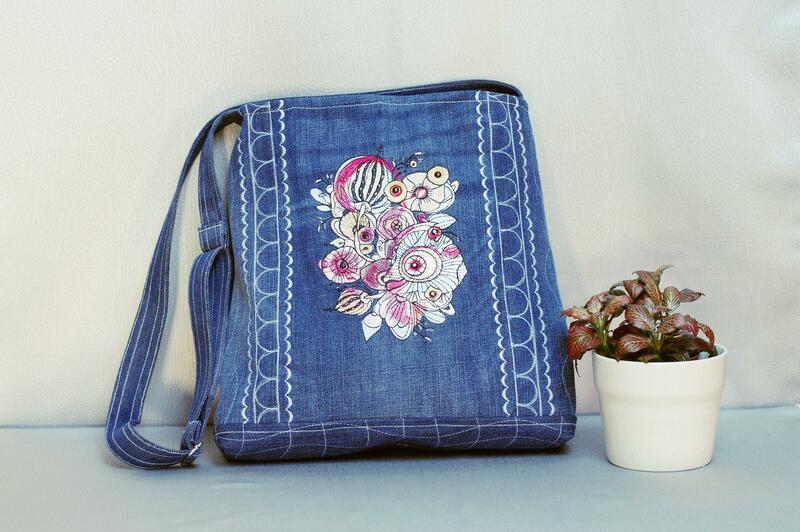 This is the convenient woman’s jeans bag for carrying on the shoulder. It is decorated with the original border executed with the white thread. Furthermore its front side has the sample based on interesting Flower composition machine embroidery design. It’s not just the usual bouquet but the true work of art which reminds fruits, fishes and eyes at the same time. Light color scheme of this embroidery looks great on the jeans background.